Most of the photographs in the Local History Photograph Collection depict scenes in the city of Toledo, plus photographs of much of Northwestern Ohio and Southeastern Michigan. Many of the Toledo photographs depict the downtown area, although a large number of Toledo area industries (Jeep, Toledo Scale, Libbey Glass, Owens-Illinois, LOF, etc. ), schools, hospitals, and parks are represented as well. The content of this database is made publicly available by the Toledo-Lucas County Public Library for use in research, teaching, and private study. For these purposes, you may reproduce a single copy (print or download) of materials from this Web site without prior written permission. 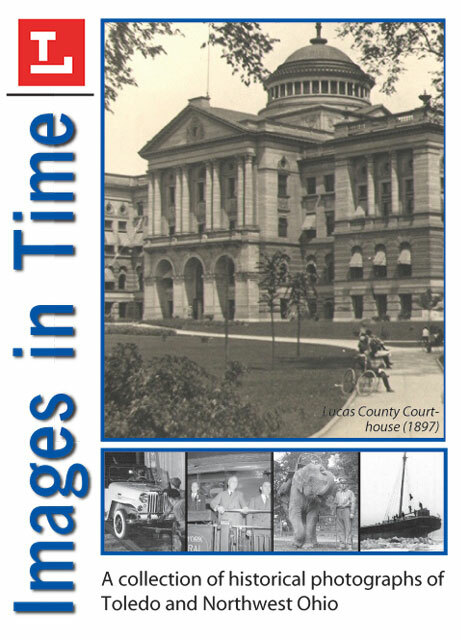 Contact Local History & Genealogy Department, Toledo-Lucas County Public Library, 325 Michigan St., Toledo, OH 43604. All items may be protected by the U.S. copyright law (Title 28, U.S.C.). Usage of some items may also be subject to additional restrictions imposed by the copyright and/or the holding institution.